There are a number of factors to consider when looking at care options for your loved one ranging from behavior challenges to safety concerns to the decline in the ability to perform daily living activities. It is important for the person diagnosed with Alzheimer’s disease or dementia, caregivers, and other family members to know and understanding care options that may be available and other resources to provide assistance as the disease progresses. Outpatient and Community-based Care (Adult Day Centers) – this type of care occurs outside the home and can be a great way to keep your loved one engaged and active during the day. Adult day centers provide a structured environment to strengthen and support persons living with Alzheimer’s and other dementia related diseases with activities of daily living, physical and cognitive function, and social interaction. Respite Care – this type of care supports both the caregiver and the person with Alzheimer’s disease as it aims to provide opportunities for relaxation and time to destress. This care can be provided by local agencies and community service providers and is especially helpful to caregivers who are burnout or overwhelmed. Hospice Care – this type of care is often times a difficult kind of care to consider for loved ones. 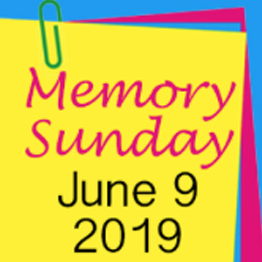 While it can take place in the home, it is care that typically happens during the final months of life for persons suffering from Alzheimer’s and other dementia related diseases. This care is palliative and seek to ease the burden of the caregiver and the family as focus shifts to end of life preparation and coping with the grieving process. 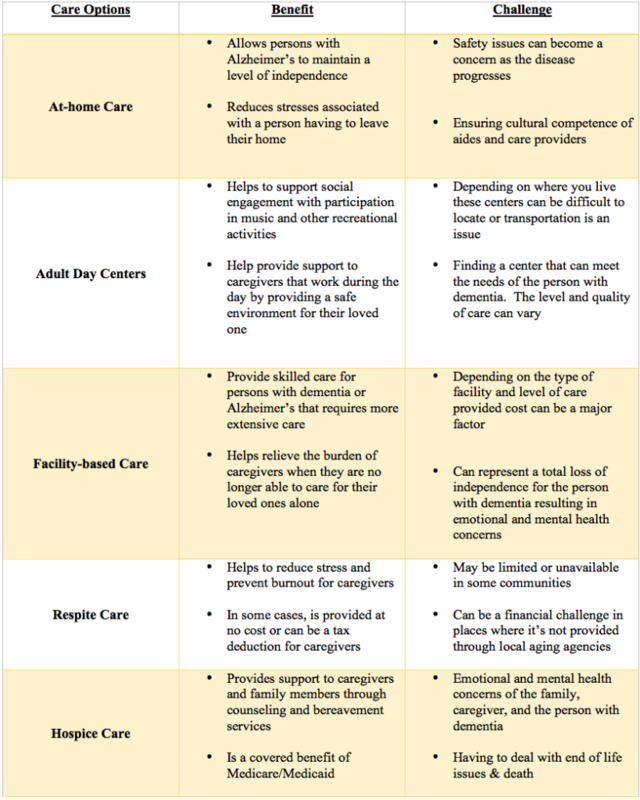 The chart below can provide caregivers highlights some of the potential benefits and challenges related to these care options.